It is well known that refusal to mediate can lead to costs penalties. What may be less understood is when the parties can draw this to the attention of the Court. In R (on the application of Wildbur) v Ministry of Defence  EWHC 821 (Admin), the court found that even the fact of a failure to reply to an offer of mediation (if there was such a failure) was protected by the without prejudice rule. There are various circumstances where evidence of without prejudice communications can be admitted, such as where the issue is whether a concluded settlement has been reached, or where the fact of negotiations taking place is needed to explain a party’s delay. 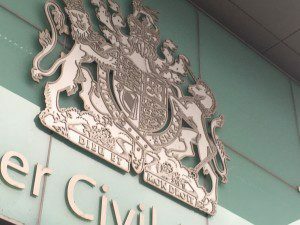 In the case of Wildbur the claimant was seeking judicial review of the MoD’s decision on a “service complaint” he had lodged after he was made redundant. In granting permission for judicial review, the judge encouraged the parties to try to settle the matter, including by the use of mediation. The claimant proposed mediation. The MoD then wrote proposing a without prejudice meeting. A consent order was made staying directions for a period to allow the parties “to undertake alternative dispute resolution”. A without prejudice meeting took place but was unsuccessful and the case continued. The MoD objected to two paragraphs of the claimant’s reply to the MoJ’s defence. These passages stated that the MoD had “refused mediation”, attending only an “informal meeting” . The judge ordered the passages to be struck out on the basis that they had disclosed the content of Without prejudice communications. The judge found that the without prejudice rule applied to a failure to reply to an offer as much as to an actual reply. This principle was not limited to specific offers of settlement; it applied equally to the fact of an offer of settlement negotiations. In many cases, a party who proposes mediation will want to be able to point that out, and any refusal or failure to respond on the part of its opponent, once the court comes to consider the issue of costs, after the main issues have been determined, but not before. That is perfectly acceptable if the correspondence has been marked “without prejudice save as to costs.” Otherwise it won’t be possible to refer to it. At ProMediate we advise parties not to ignore or refuse an invitation to mediate, so as to avoid costs sanctions.